A hardware MFA device generates a six-digit numeric code based upon a time-synchronized one-time password algorithm. The user must type a valid code from the device when prompted during the sign-in process. Each MFA device assigned to a user must be unique; a user cannot type a code from another user's device to be authenticated. Hardware MFA devices and U2F security keys are both physical devices that you purchase. The difference is that hardware MFA devices generate a code that you view and then enter when prompted when signing it to AWS. With a U2F security key, you don't see or type an authentication code. Instead, the U2F security key generates a response without presenting it to the user and the service validates it. For specifications and purchase information for both device types, see Multi-Factor Authentication. You can enable a hardware MFA device for an IAM user from the AWS Management Console, the command line, or the IAM API. To enable an MFA device for your AWS account root user, see Enable a Hardware MFA Device for the AWS Account Root User (Console). If you want to enable the device from the command line, use iam-userenablemfadevice aws iam enable-mfa-device. To enable the MFA device with the IAM API, use the EnableMFADevice operation. You can enable your own hardware MFA device from the AWS Management Console. Before you can enable a hardware MFA device, you must have physical access to the device. In the Manage MFA device wizard, choose Hardware MFA device and then choose Continue. In the MFA code 1 box, type the six-digit number displayed by the MFA device. You might need to press the button on the front of the device to display the number. Wait 30 seconds while the device refreshes the code, and then type the next six-digit number into the MFA code 2 box. You might need to press the button on the front of the device again to display the second number. Submit your request immediately after generating the authentication codes. If you generate the codes and then wait too long to submit the request, the MFA device successfully associates with the user but the MFA device becomes out of sync. This happens because time-based one-time passwords (TOTP) expire after a short period of time. If this happens, you can resync the device. 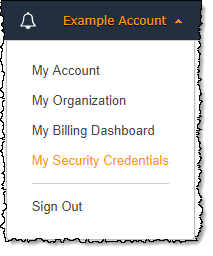 You can enable a hardware MFA device for another IAM user from the AWS Management Console. In the wizard, choose Hardware MFA device and then choose Continue. In the Serial number box, type the serial number that is found on the back of the MFA device. Choose Assign MFA. 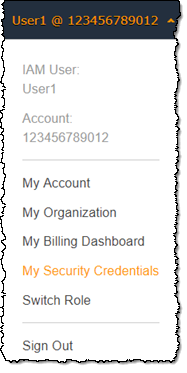 The MFA device is now associated with the AWS account. The next time you use your root user credentials to sign in, you must type a code from the MFA device. To add a replacement hardware MFA device for an IAM user, follow the steps in the procedure Enable a Hardware MFA Device for Another IAM User (Console) earlier in this topic. To add a replacement virtual MFA device for the AWS account root user, follow the steps in the procedure Enable a Hardware MFA Device for the AWS Account Root User (Console) earlier in this topic.